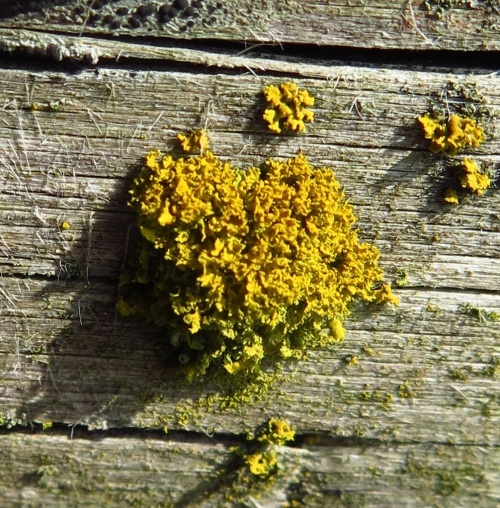 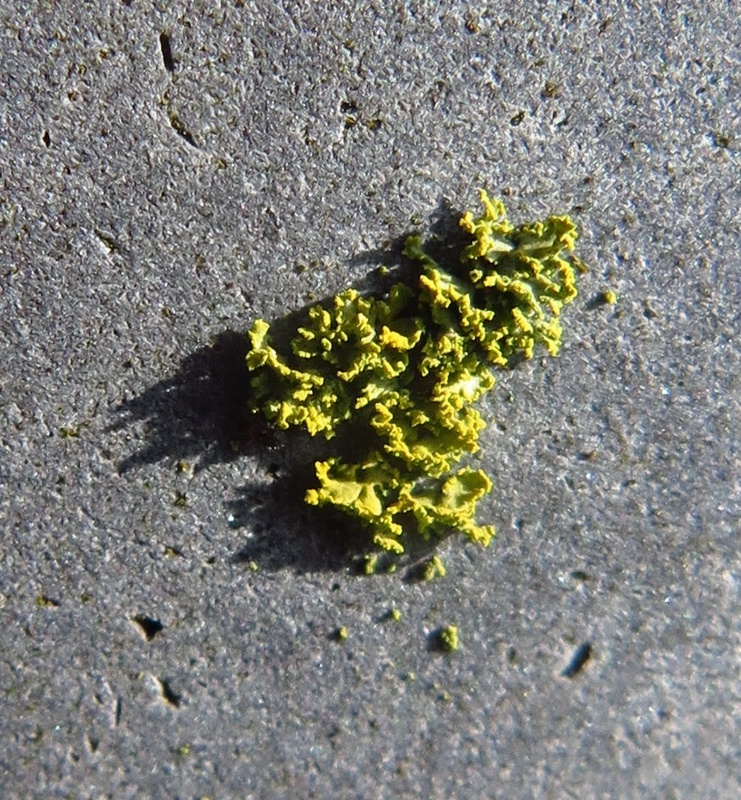 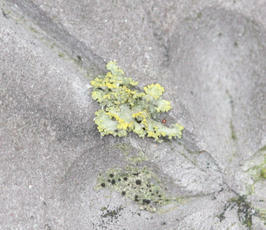 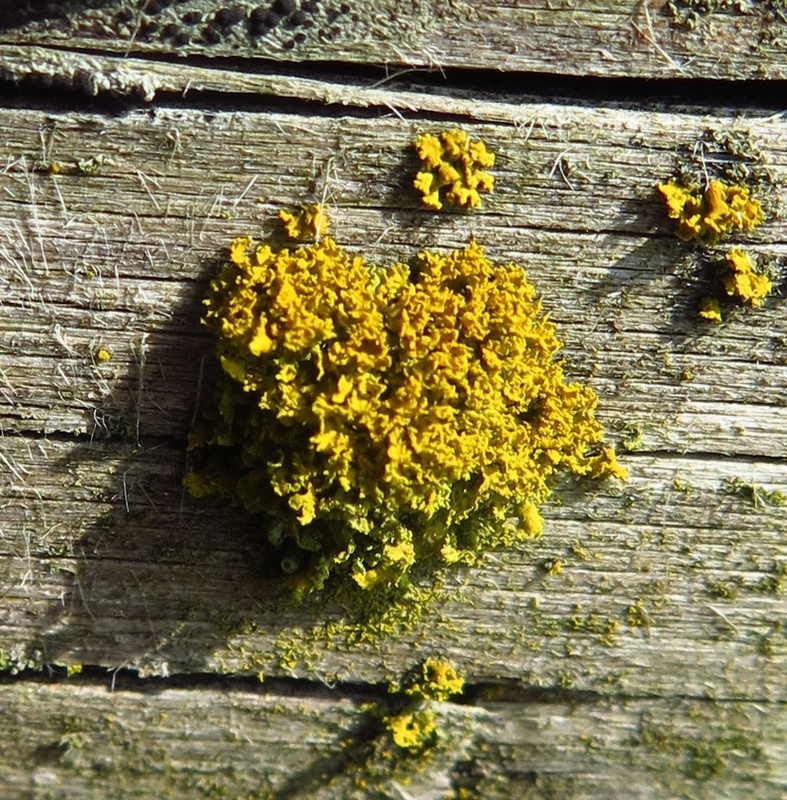 A leafy lichen, with lobes ascending or pendant, overlapping, greenish to bright yellow, lobes tiny but expanded towards the tip, becoming fan-shaped, 0.7 to 1.2 mm in width. 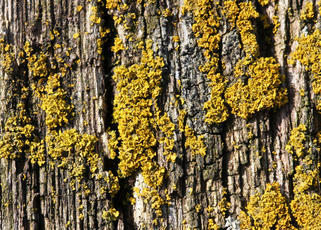 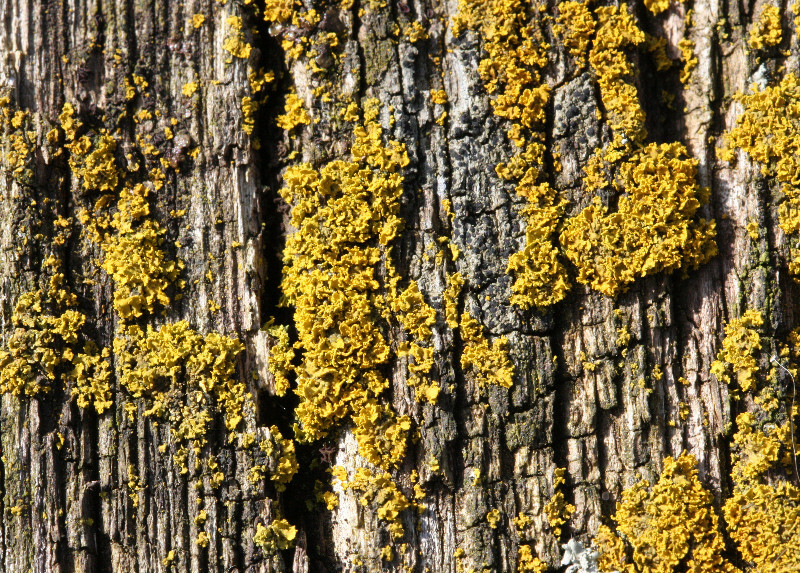 On nutrient enriched bark and also on man-made substrates. Scattered widely throughout Britain, once local it is becoming more common. 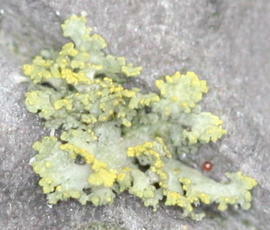 Occasional in Leicestershire and Rutland, but increasing.